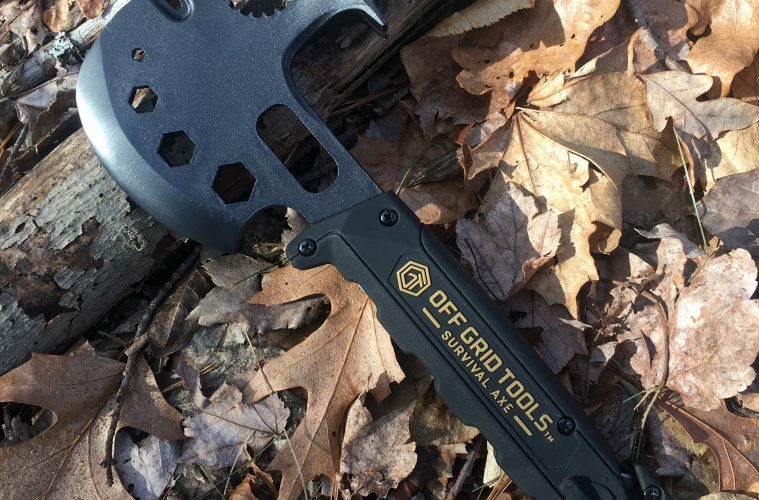 When I received the new survival axe from Off Grid Tools, I couldn’t wait to take it backpacking and see how it held up to life in the wilderness. Unfortunately, that backpacking trip had to be cancelled. Even worse, shortly after that my basement flooded. Because of that flood, instead of the survival axe first proving its usefulness in the woods, it instead received its first challenges around my suburban home. In the chaos after that flood, whatever I had in my basement was hastily packed away. That included my tools (not my smartest move). Needing tools, I was faced with the dreadful task of having to sort through boxes to find them. That’s when I remembered the axe and figured I’d give it a try. Much to my surprise – and delight – the axe performed wonderfully in the home projects I threw at it. Built into Off Grid’s survival axe are a hammer, a nail remover and hex wrenches with eight hex socket sizes. These tools within the axe proved easy to use and incredibly convenient. As useful as the axe was around the house, it was even better once I did get it out into the woods. 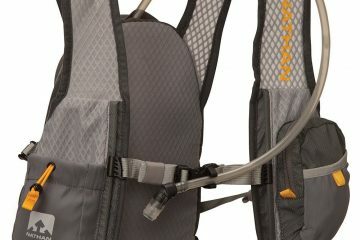 The axe is an ideal size – not too big and bulky, and very lightweight, making it great for carrying in your backpack. Its comfortable handle and sharp axe blade made it easy to chop up wood. A foldout 6-inch saw blade effortlessly sliced through branches. Among the many other features the axe includes are a can opener and, of course, a convenient bottle opener for cracking open a tasty craft brew by the fire at the end of the day. 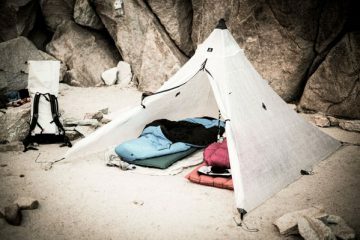 The Off Grid Survival Axe proved to be an incredibly useful camping tool, and I plan to take it with me on my future trips. But I won’t be keeping it packed away with my backpacking stuff. Instead, I’ll keep it readily available around my house, just in case something needs a quick fix. 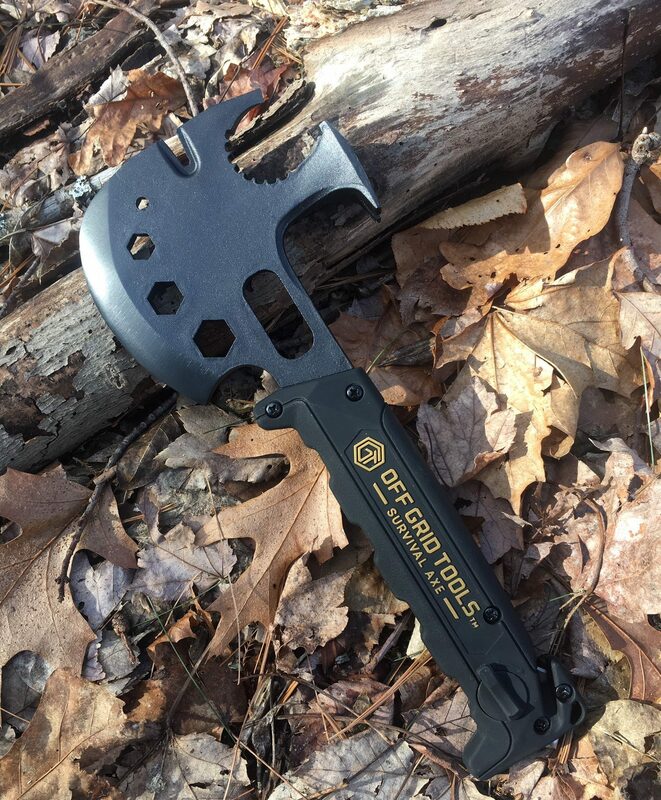 Learn more about the Off Grid Survival Axe.